Dine out for Llewellyn Elementary. April 3, 2018. Portland, OR. 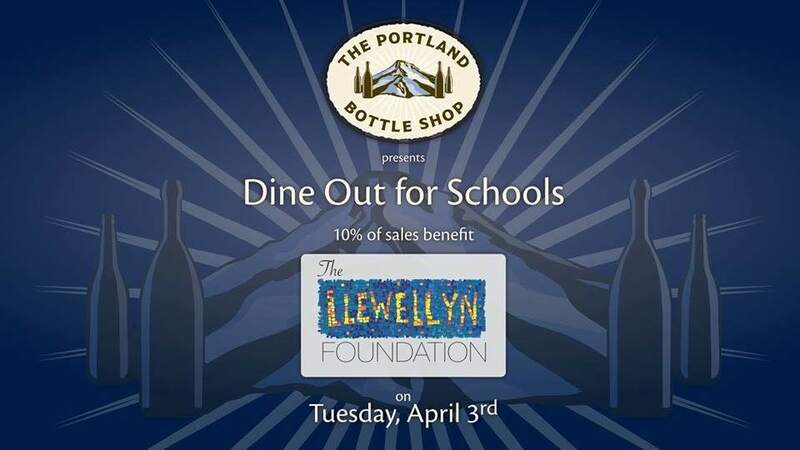 Join us on April 3 at the Portland Bottle Shop to help us support the Llewellyn Foundation! 10% of all sales from April 3 will benefit Llewellyn Elementary School. We'll see you there!